Diamond Weave was developed by Gerlinde Lenz and Cath Thomas. This stitch creates a flexible flat piece with parallel rows and although it looks similar to RAW, is in fact, quite different. 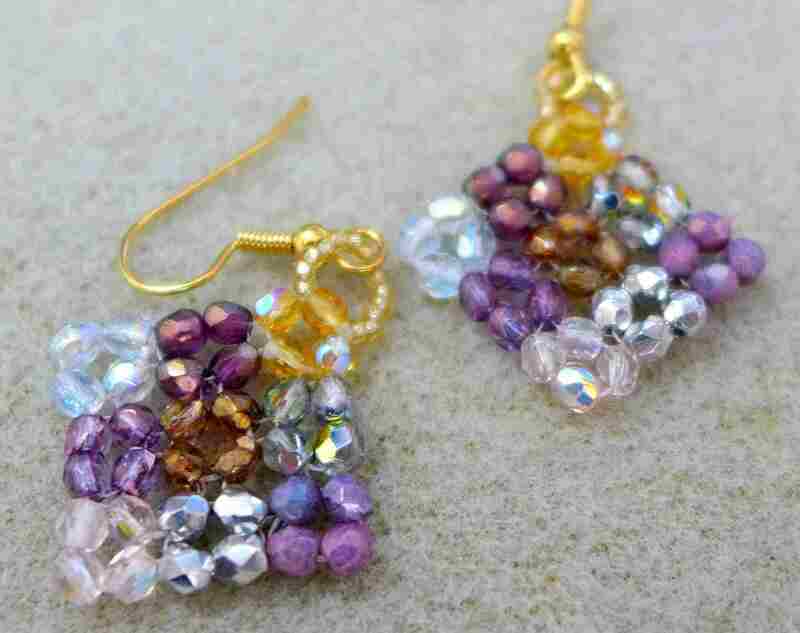 It works best with round or oval beads and has a quite distinct vocabulary to describe the various rows. 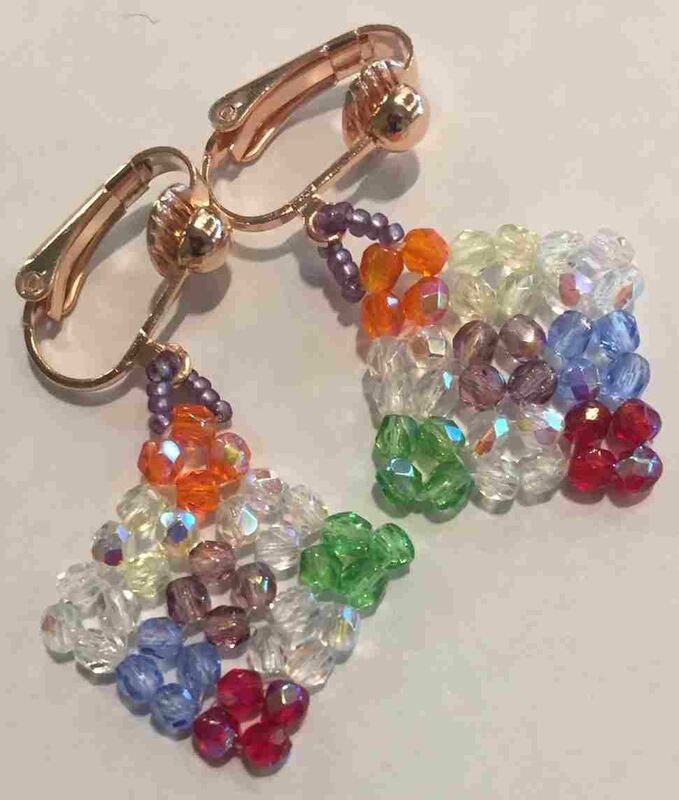 Note: Different colour beads are used in each section as shown for the purpose of teaching the technique easily. Buying a couple of multi coloured fire polished strands is an easy, economical way to go.